Leukemia symptoms are similar for both the acute and the chronic types. But early signs of bone marrow cancer don't appear at the same time because they depend on the type. Both the acute and the chronic forms progress differently in the body. The chronic type happens and worsens undetected for many years. You will look and feel fine and yet, have the disease. It is usually only found by a doctor after a routine blood test. When it has already progressed well inside your body, symptoms will arise. But still, most of its early signs are usually felt only by you. Headaches can be caused by a lot of reasons such as the need for prescription eyeglasses or stress so there's no need to panic. But if you experience frequent headaches that come and go, have yourself checked for bone marrow cancer just to be sure. 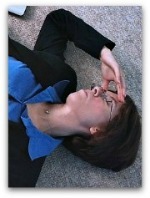 Persistent headaches are one of its early indications, especially of the acute type. Nausea or vomiting may occur due to other reasons such as pregnancy or side effect of a prescription medicine you are taking. If you feel nauseous or you vomit for no known explanation and it becomes chronic or happens frequently, see a doctor and have your bone marrow checked for leukemia. Both can be bone marrow cancer symptoms. If you experience any of these, get a medical check up. This is to be sure that chronic loss of muscle control and seizures don't mean another type of cancer. They are also side effects of lung cancer. Feeling confused most of the time? If stress is ruled out, see your doctor because it may indicate the acute type of leukemia. 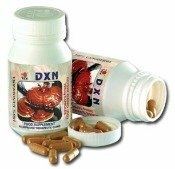 Chronic nausea, headache, seizure and confusion affect your nervous system. These 4 early leukemia symptoms are caused by abnormal lymphocytes that have spread from your bone marrow to your brain or spinal cord. Tiredness and weakness are common in people with leukemia especially the acute type. You may feel tired or weak due to lack of oxygen. Lack of oxygen occurs when the white blood cells have already outnumbered the red blood cells in your bone marrow. It is the red blood cells that supply oxygen to your muscles. A body discomfort that is chronic and something that you can't verbally explain or describe should be a signal for you to get tested for bone marrow cancer. A chronic feeling of fullness is caused by leukemic cells in the bone marrow that are already affecting your digestive tract. Pain means the cancerous cells have moved out from the bone marrow. Chronic pain in the bones or joints is caused by accumulation of leukemic cells in the joint or under the surface of your bones. Pain from cancer always mean the disease is already advanced. Losing a lot of weight, which is not intentional and without explanation, is both a common sign and symptom for acute leukemia and all the leading types of cancer. It is also a result of 2 other symptoms of leukemia: loss of appetite and anemia. All of these symptoms can mean other diseases besides tumor in the bone marrow. But it is wise to always listen to your body for possible leukemia symptoms and see a doctor to be sure.